Black metal is inherently noisy, graphic and beautiful. When a band is willing to embrace the inherently demented nature of the genre and show us the path to something triumphantly evil it's hard to say no. With Pest Norse show us that they are proud walkers of the left hand path and the simply twisted nature of their sound will entrap your mind and bring it to a strange new reality. These guys are doing something that not everybody can latch on to, but for those of us who have the musical background to get it this record is a rewarding listening experience. Pest is magical because it shows us the dissonant darkness that I think resonates within so many of us. There are a lot of really twisted and kind of beautifully fucked up moments in this record and that's what makes it so engaging. What other band could envision pulling out the animalistic growls that close Encoded Weakness? Sure you could say these kind of things are found in all manner of black metal records, but I think you can make a strong case that Norse do it better. They are dark in the purest sense of the world, the sonic landscapes they create are distinctly bleak, not ones that you can easily forget. Yet despite it all, Pest uses grooves that we can all, as metalheads, fundamentally relate too. 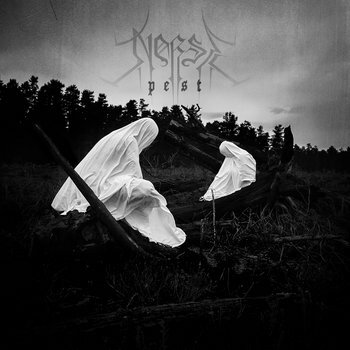 Pest proves that Norse are capable songwriters and though their sound may be sick and twisted their is some sort of strange and perhaps perverted link to that good old rock and roll music. Pest grabs you by your manky hair and drags you into the pit. This is a ride into hell with strange greater lords of reality guiding you into a pit that has that strange beauty which defines much of the black metal ethos. Indescribably and glorious, Norse have done it again.